The train from Kiev to Warsaw was an interesting one. We shared our three berth cabin with Yuri, an old(ish) guy, originally from Belarus but now living in Canada. Together we watched a movie he had on his laptop called 'Across the Universe'. A musical based in America during the Vietnam war using songs from the Beatles. I had never heard of the film, and enjoyed watching it, despite Yuri constantly revealing what was going to happen, right before the action on screen. 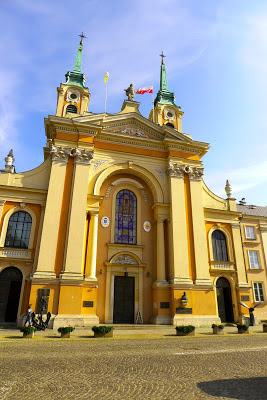 Warsaw was a fantastic city to walk around. 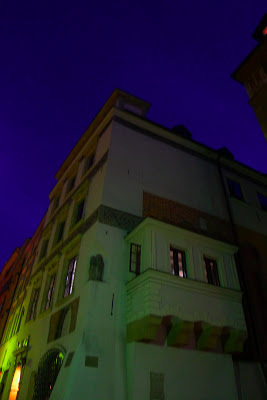 The architecture in the old town was spectacular, red brick and lines of terraced houses or grand government buildings. Cobbled streets, tiny alleyways and ivy clad houses. 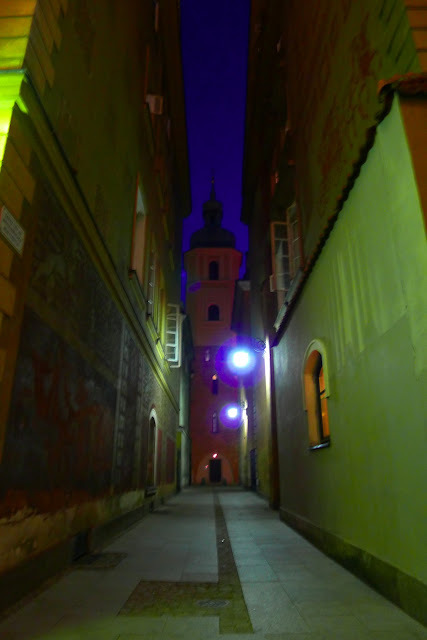 I had a lovely time wandering around the streets, taking far too many pictures and learning about Poland's dark and somber history. 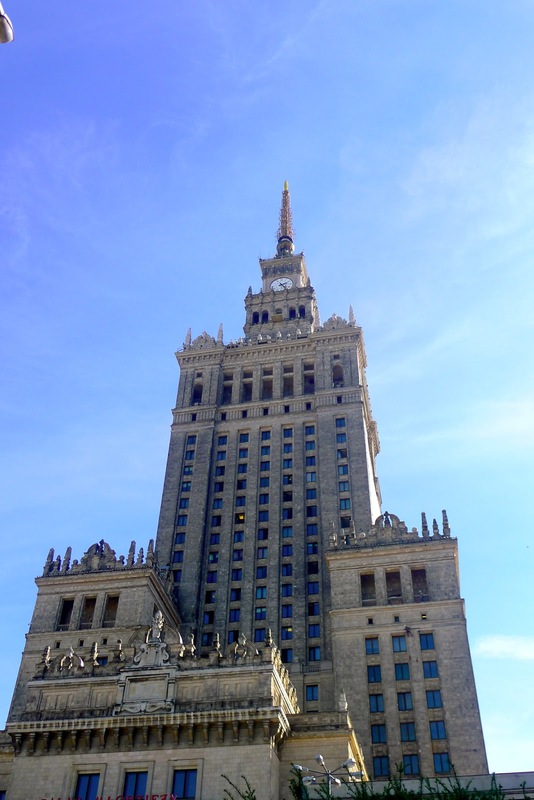 Our days in Warsaw were of gorgeous weather and delicious food. On our first full day we visited the extremely hi-tech Chopin museum and small but absorbing Marie Curie exhibit; housed within her birth home. Two rooms of pictures showing her life through pictures, and a few interesting personal belongings. I thoroughly enjoyed our short stay in Poland's capital. 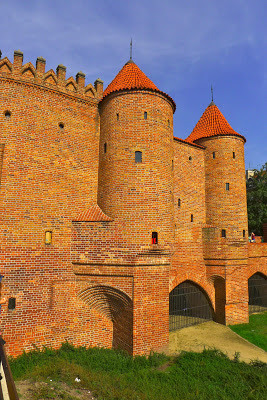 This was my second visit to the country; having visited Krakow on my inter-railing trip in 2007. 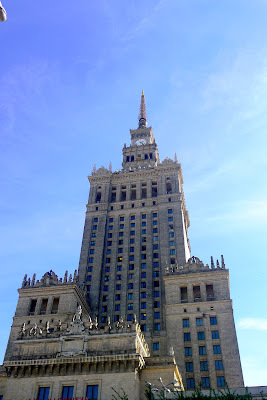 I was charmed by Warsaw, saddened by its devastating modern history, seduced with its colourful and quaint buildings and delighted with the cobbles under foot after two years in the futuristic and fast paced Oriental hub of Seoul. This is how I imagined the Ministry of Truth in Orwell's 1984 would look.